In a move that could expand broadband access to rural areas, "Federal Communications Commission Chairman Tom Wheeler on Thursday proposed helping low-income consumers with the cost of broadband Internet access through a program that subsidizes phone bills," Gautham Nagesh reports for The Wall Street Journal. The "proposal would expand the government’s Lifeline program by giving low-income households the option to apply the subsidy to broadband Internet access, either wired or wireless." FCC said that "less than half of households making less than $25,000 a year have Internet access at home, compared with 95 percent of households with incomes of more than $150,000," Nagesh writes. The proposal "seeks comment on whether carriers should provide a minimum level of service to consumers as part of the program and what those service levels should be," Nagesh writes. "The proposal tentatively proposes keeping the subsidy at $9.25 a month." The Lifeline program was started under President Ronald Reagan to cover the basic cost of phone service, Nagesh writes. "It was expanded in 2008 under President George W. Bush to include wireless phones and currently serves roughly 12 million households, which qualify if they are eligible for other federal aid programs like Medicaid or food assistance." Teenagers don't hang out at malls anymore; they hang out at Walmart, mostly because in many rural areas Walmart is the only game in town, Rachel Monroe reports for Talking Points Memo. "In some towns, Walmart may be the only grocery store, or the only pharmacy or the only place to buy books and DVDs. Walmart’s supercenter stores are open 24 hours; in many small towns, they’re the only store with lights on after dinner time." "All of this, of course, is part of the Walmart plan: they move in, push other stores out of business while simultaneously expanding their services—at some supercenters you can get new tires, new glasses and a teeth cleaning—until suddenly you find yourself buying everything at Walmart because there’s nowhere else to buy it," Monroe writes. "So as Walmart encroaches on more parts of life, more of people’s lives happen at Walmart," Monroe writes. "The chain is the third biggest vision care provider in the country, the fourth biggest pharmacy and the biggest grocery store. People sell drugs in Walmart and make drugs in Walmart. In one Florida town, nearly half of all crime takes place at Walmart. Some people live in Walmart parking lots; others try to live in the stores themselves." "It’s the omnivorous quality of Walmarts—how they seem to consume surrounding communities, pricing out the competition and building ever-growing parking lots—as well as their infamously poor treatment of employees, that has won them many opponents," Monroe writes. Some customers said they visit the store daily and that they consider the store a social hub, with Girl Scout cookie sales, bake sales and plenty of social interaction with friends and neighbors who are easy to find also shopping at the store, Monroe writes. "The parking lot outside the store was its own whole scene, too," Monroe writes. "The far corner of the lot seemed to be an unofficial overnight camping location. (Walmart’s founder, Sam Walton, was an avid RVer and has made a point of allowing free overnight parking in most of his store’s parking lots. They’re such a popular overnight destination that there’s even an app that purports to review every Walmart parking lot in America.)" For years the names of delinquent tax payers have been published in local newspapers in an attempt to get people to come forward and pay taxes. But a new method, of shaming those same people on the Internet—or threatening to post their names and what they owe—is proving to be an extremely effective means of getting people to pay, Elaine Povich reports for Stateline. The Vermont legislature last year approved publishing the names of the top 100 individual and top 100 business tax delinquents, Povich writes. Those on the lists are notified in advance by letter to give them time to pay. The state, which estimated it would collect $800,000 of an estimated $175 million in delinquent taxes in fiscal year 2015, which will end June 30, has already collected $1.3 million, according to Gregg Mousley, deputy tax commissioner. 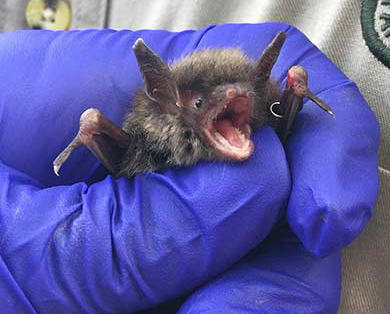 Mousley, who said at least half of the money was collected before the names were published, predicted a total take of $1.5 million by the end of the fiscal year. Wisconsin has had similar results, Povich writes. "Officials estimated that publicly naming delinquents would allow them to recoup about $1.5 million annually when they first posted the information in January 2006. Instead, they’ve recovered between $11 million and $31 million annually, according to Stephanie Marquis, communications director at the Department of Revenue. 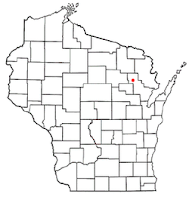 Wisconsin collected $12 million in fiscal 2014 and has garnered $10.8 million so far in fiscal 2015, she said." "California was one of the first states to publish the names of delinquent taxpayers online, starting in 2007," Povich writes. "Since then, the program has collected more than $414 million from taxpayers in arrears, according to Daniel Tahara, spokesman for the California Franchise Tax Board." A rural Pennsylvania newspaper has run into hot water for publishing a letter to the editor this week in which a reader suggested President Obama be executed for his response to ISIS capturing Ramadi. The letter by W. Richard Stover, published Monday in The Daily Item in Sunbury, (Best Places map) said, "I think the appropriate and politically correct term is regime change. Forgive me for being blunt, but throughout history this has previously been accompanied by execution by guillotine, firing squad, public hanging." "There is no excuse for the letter The Daily Item published on Memorial Day. We did something we shouldn’t have, and the readers who called us on it deserve accountability. Nearly a decade of provocative and divisive rhetoric may have inured us to language that calls the president of the United States 'the coward-in-chief' and the disrespectful use of the president’s first name. Both those elements are common to corners of the mediascape, having been uttered by commentators and candidates for president. But we should have recognized that the final two metaphorical paragraphs of the Ramadi letter were inescapably an incitement to have the chief executive of our government executed. They should have been deleted." "I can’t help but ask, 'What in the world happened here?' Have the responsible members of your editorial board been dismissed? I’m all for freedom of speech but understand, too, the concept of yelling 'fire' in a crowded theater." "I am thoroughly disgusted that you would choose to print, on Memorial Day, a letter to the editor which demands regime change and assassination of the President of the United States." "Free speech is one thing; calling for a lynching is at least infantile, if not illegal. I don’t know or have the words that could describe how low you are!" "Your editorial and letter printed on Memorial Day: so 'no bells went off when your editor read the letter?' Clearly you need a new editor." The Association of Health Care Journalists is hosting a free workshop for journalists on covering rural America from 7:30 a.m. to 4:20 p.m. (EDT) on June 19 in Fort Worth, Texas. The Rural Health Journalism Workshop is designed to help journalists find and cover health stories and "will bring journalists together with health care and policy experts who focus on the medical challenges of rural areas." Travel assistance is available. The deadline to register is June 8. For more information or to register, click here. 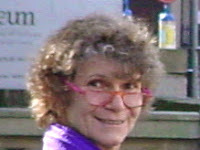 Rural advocate Sandra Rosenblith died this week at the age of 70. "Rosenblith helped establish Rural LISC at the Local Initiatives Support Organization in 1995," Tim Marema reports for the Daily Yonder. "The program helps rural development groups tap public and private funding for local projects." Rosenblith retired from Rural LISC in 2009 but remained active in rural development policy work and wrote occasional stories for the Yonder. Rural LISC currently "has 63 partner development organizations that work in 40 states and cover nearly 1,200 U.S. counties" and has "leveraged $3 billion in rural development investment in the past two decades, according to a fact sheet on the organization’s website," Marema writes. Rosenblith graduated from the University of California, Berkley and earned a law degree at Harvard University, Marema writes. "After working at the National Council for Equal Business Opportunity, she ran a community development consulting firm and later served as director of the legal division of the Federal Home Loan Bank’s Office of Community Investment." The biggest threat to the future of journalism is the decline of local political coverage, outgoing CBS anchorman Bob Schieffer told NPR's Diane Rehm in an interview on Tuesday. 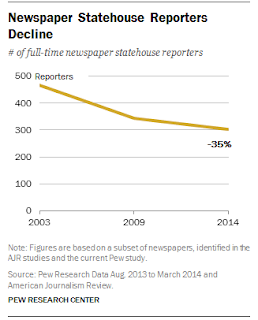 Schieffer said, "Unless some entity comes along and does what local newspapers have been doing all these years, we're gonna have corruption at a level we've never experienced. . . . Because there's nobody—so many papers now can't afford to have a beat reporter. For example, many papers don't have a city hall reporter anymore. They send somebody to cover the city council meetings, but to cover city hall, you have to be there every day, and you have to know the overall story, not just report whatever happens on a particular day." Citing The Courier-Journal's elimination of a D.C. correspondent after almost 150 years, Cillizza writes, "The elimination of a reporter covering, say, Washington for a major Kentucky paper means that that job almost certainly won't be coming back. And that means one less set of eyes watching what happens in Washington and relating it back to the people of Kentucky." Cillizza continues, "As Schieffer notes in the Rehm interview, no one knows what local pols are up to better than the people covering them day in and day out. Sure, national media swoops in on occasion when some local story gets huge—but the reason those stories get on the national radar in the first place is because of the spadework of local reporters." The hidden cost to readers is that politicians are very much aware that local newspapers are unable to cover everything, Cillizza writes. "Not only are there fewer eyes watching politicians, legislation and the like but also the pols are all-too-well well aware of that fact. More things are tried—in a bad way—by politicians because they know there is a far smaller chance of them getting caught or even called on it." Scholarships will provide $18,000 per year, or 70 percent of tuition and fees, to eight students this fall and six more in the fall of 2016, Farkas writes. Students in good standing can remain under scholarship all four years. 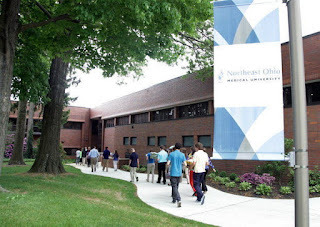 Northeast Ohio Medical School "is working on a similar initiative with Cincinnati-based Mercy Health, the state’s largest health system," Timoty Magaw reports for Crain's Cleveland Business. "As part of that $3 million program, which was announced in December, the health system will cover tuition for qualifying medical students in exchange for future commitments to Mercy Health following residency training." A pair of senators in largely rural states have written Postal Regulatory Commission (PRC) Chairman Robert Taub, urging his agency to conduct an in-depth study of rural mail delivery, which has been criticized for being slow. Sen. Jon Tester (D-Mont.) and Sen. Heidi Heitkamp (D-N.D.) wrote: "Recent changes to USPS delivery standards coupled with processing plant closures and consolidations have had a devastating impact on the quality of service in rural America. We firmly believe that the continued closure and consolidation of mail processing plants across the country hinders letter carriers' ability to ensure timely delivery and diminishes the Postal Service's competitiveness and relevancy in a twenty-first century business environment." Okanogan County, which ranks last in the state in quality of life and has the second lowest median household income, has a teen pregnancy rate of 58.5 pregnancies for every 1,000 girls ages 15-19, a rate nearly twice the state average, Andrews writes. Elana Mainer, executive director of Room One, told Andrews, “Historically, getting access to services or building support services has been tough in a community like ours." One of the greatest benefits of Room One is that "because the organization receives federal Title X funding via Family Planning of North Central Washington, which operates the clinic, its sliding fee scale goes to zero, a crucial factor for girls who have no substantial independent income and would like to avoid a revealing Explanation of Benefits form sent to their parents from an insurance provider," Andrews writes. Another key is confidentiality—an important factor in a small town, Andrews writes. Washington state law also does not require parental consent for such services, which helps many of the underage girls who are living on their own. The clinic also "is able to offer long-acting reversible contraceptives (LARCs)—the IUD and hormonal implants—at zero cost to clients who are at or below the federal poverty level," Andrews writes. "In a fairly recent development in pediatric gynecology, LARCs are now the top-recommended form of birth control for teens, but they’re also expensive." 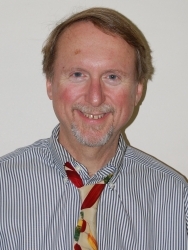 Ken Woodley, who has worked at The Farmville Herald, a biweekly newspaper in Farmville, Va., for 36 years, 25 of them as editor, has announced he will resign from the newspaper effective Friday, reports the Virginia Press Association. Woodley plans "to write a book recounting the triumphant 16-month crusade that saw the Virginia General Assembly create the Brown v. Board of Education Scholarship program in 2004, giving educational opportunity back to those from whom it was stolen during five years of 'massive resistance' in Prince Edward County." In 2007 on the 400th anniversary of Virginia's settlement, Woodley was one of the most vocal advocates for Virginia to issue an apology for slavery. He has won numerous Virginia Press Association awards and is a two-time winner of VPA Lathan Mims Award for editorial service to the community. In 2006, the Virginia chapter of the Society of Professional Journalists presented Woodley with its annual George Mason Award for lasting contributions to journalism. Stock prices for Alpha Natural Resources and Arch Coal "have fallen so low that they're at risk of being taken off the New York Stock Exchange," Saqib Rahim reports for EnergyWire. Both companies "have recently traded at an average of less than $1 per share for 30 consecutive trading days. They have six months to get back over the $1 threshold, or the NYSE may delist them." An increase of natural gas use, new environmental regulations, a decline of coal exports to Asia and cheaper coal in the West has hurt coal sites in Central Appalachia. That has led to coal prices dropping 33 percent over the past four years, making operations unprofitable for about 72 percent of Central Appalachian coal mines in Kentucky, West Virginia and Virginia. Last week Alpha announced it was closing its underground Rockspring Development Camp Creek mine in Wayne County, West Virginia, that employs 439 and was also cutting 71 jobs at facilities in Kentucky and West Virginia. "In 2010 and 2011 especially, U.S. producers borrowed heavily to pay for a buying spree of coal assets," Rahim writes. "Chinese demand was surging, causing coal prices to spike and putting the global industry in an expansionary mood. U.S. capital markets obliged them: Arch topped $35 a share in early 2011, and Alpha nudged above $60. But by mid-2011, the global market was swamped. Prices began to dive. In the U.S., hydraulic fracturing began to transform the natural gas supply. Just as the coal business became less lucrative, U.S. producers found themselves with huge debt bills." Matt Preston, research director for North America coal markets at Wood Mackenzie, told Rahim, "If it wasn't for that debt, I don't think any of the coal companies would be nearly in as much trouble as they are. The properties are OK; it's just that the coal companies themselves are not financially sound. As soon as the debt issue gets figured out, there'll be coal companies around mining coal." Arch, Alpha and Peabody Energy Corp. "carry more than $16 billion in long-term debt," Rahim writes. "They're paying millions in interest, which is making it hard for them to fund ongoing coal operations. Capital markets are keeping a wary distance." 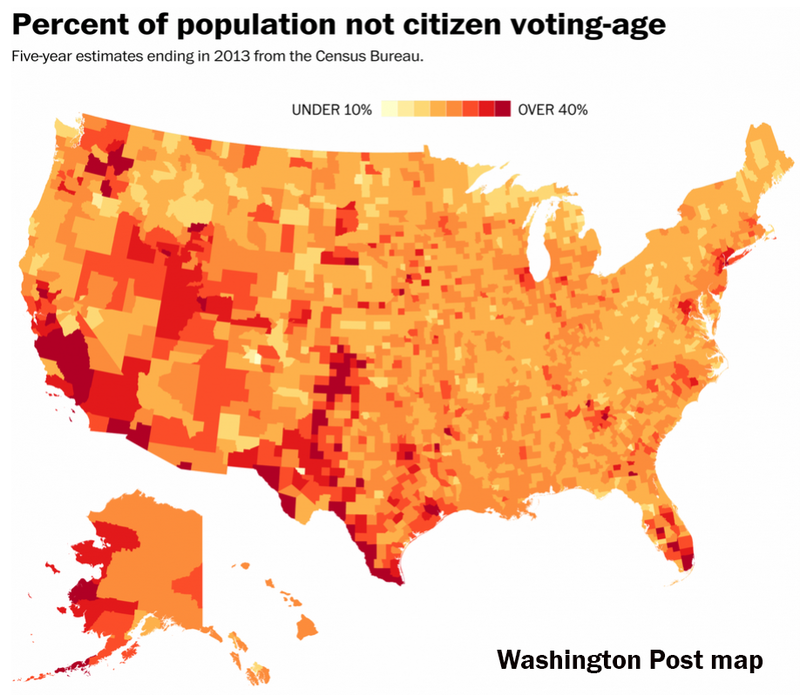 "The U.S. Supreme Court will take up an appeal that could give rural voters more clout, agreeing to decide a long-simmering question about the rules governing state efforts to equalize the size of their voting districts," Greg Stohr reports for Bloomberg. "The justices will hear an appeal from two voters who say Texas unconstitutionally allocated its state Senate seats on the basis of total population rather than on the number of eligible voters." If the Supreme Court sides with the Texas voters, it "might shift legislative seats away from areas with large Hispanic populations," Stohr writes. 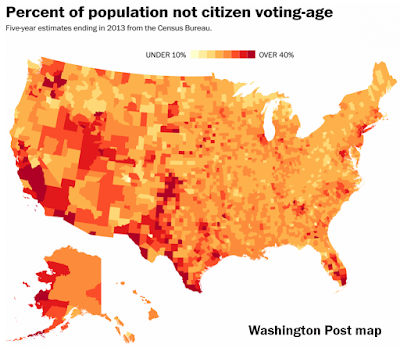 "The issue is an offshoot of the court’s landmark 1964 Reynolds v. Sims ruling, which established the 'one person, one vote' principle and required state and local voting districts to have roughly equal population." In Texas each Senate district in the maps redrawn in 2013 consisted of about 811,000 people, Michael Lindenberger and Sylvan Lane report for The Dallas Morning News. "It’s why seven Senate districts slice through Dallas, but a single district—the 28th near Lubbock—can stretch across all or parts of 51 counties in far West Texas." "Lawyers for Titus County GOP chairwoman Sue Evenwel and Edward Pfenninger of Montgomery County argued that only the number of eligible voters, not total residents, should count when deciding how to draw a voting district," Lindenberger and Lane write. "Those ineligible to vote—children, immigrants, felons and the mentally incapacitated—shouldn’t count, they said." People most often return to rural areas because their parents live there and they want to raise their children in the same place they were raised, says a study by the Economic Research Service of the U.S. Department of Agriculture, "Factors Affecting Former Residents' Returning to Rural Areas." Other factors for returning home are friends and family, familiar environments, increased opportunities for outdoor recreation, shorter drives to and from work and more chances for children to participate in school sports. Those who did not return to rural areas cited low wages and a lack of career opportunities. They also said rural areas have a lack of privacy and a lack of cultural events, shopping and dining. They also had a less favorable view of the local schools than respondents who returned to rural areas. The study consisted of 309 interviews of an average of 15 people at high school reunions in 21 rural communities in 2008 and 2009. Of the 309 people interviewed, 183—or 60 percent—said they lived elsewhere, usually in urban areas. Most moved away after high school, but some returned home before moving away again. The Obama administration today released water rules that attempt "to establish which waterways are protected under the Clean Water Act," Darryl Fears reports for The Washington Post. Gina McCarthy, Environmental Protection Agency chief, "said tributaries such as streams that flow into larger water bodies will be covered, in addition to wetlands and smaller bodies that adjoin them." The Republican-led House has repeatedly tried to overturn the rules, and critics say rules unnecessarily expand EPA jurisdiction. But officials said the rule "is about increasing clarity for businesses and helping make it easier to determine which waterways are subject to the pollution rules of the Clean Water Act," Timothy Cama reports for The Hill. "This rule is about clarification, and, in fact, we’re adding exclusions for features like artificial lakes and ponds, water-filled depressions from constructions and grass swales," McCarthy said. "This rule will make it easier to identify protected waters and will make those protections consistent with the law as well as the latest peer-reviewed science. This rule is based on science." A rural Alabama hospital has found a way to re-open a local labor and delivery unit and believes that success can be duplicated in other areas that lack such services, Anna Claire Vollers reports for The Huntsville Times. Only 17 of 54 rural Alabama counties have hospitals with labor and delivery wards. "Driving longer distances for a monthly or weekly prenatal appointment is just not feasible for women who lack access to transportation, money for gas, or who work jobs where they can't afford to take leave," Vollers writes. "According to the Alabama Rural Health Association, in 2013 more than a quarter of expectant mothers in rural areas in Alabama had less than adequate prenatal care, which can lead to health complications for both mother and baby and higher rates of infant and maternal mortality." "But thanks to a remarkable collaboration between Waits' practice and Bibb Medical Center's leadership, a federal grant, a capital investment and more than a few crossed fingers, a brand-new labor and delivery unit is scheduled to open at Bibb Medical Center this September," Vollers writes. Waits told Vollers, "We had to keep all the other aspects of family medicine alive. We [the physicians in the area] work in the ER. We work in the nursing home. We work in the clinic. We see inpatients in the hospital. We've made every other piece of this healthcare system work, which has kept the hospital itself viable without labor & delivery." Dr. Lacy Smith, Cahaba's chief medical officer, "applied for and received an expanded medical services grant available from the federal government through the Affordable Care Act," Vollers writes. "That gave Cahaba Medical Center the ability to hire a fourth physician to perform obstetrics and to hire the personnel necessary to staff a labor and delivery department at Bibb Medical Center." Holiday weekends can be a troublesome time for rural emergency services that are not equipped to handle an increase in calls due to an influx of tourists, reports Andrea Hay for WBAY-TV in Green Bay. 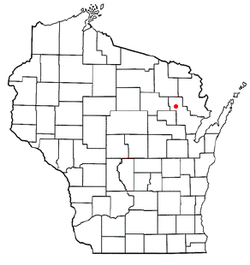 Memorial Day weekend was a perfect example in Mountain, Wisc., (Wikipedia photo) a popular camping destination with a population of 860. Despite strong opposition in Kentucky to proposed rules to cut the state's carbon-dioxide emissions by 15 percent by 2020 and 18 percent by 2030, based on 2012 levels, the state is on the verge of complying with the rules—without meaning to, Naveena Sadasivam reports for InsideClimate News. Senate Majority Leader Mitch McConnell (R-Ky.) has declared the rules part of the "war on coal," and Kentucky joined a lawsuit against the Environmental Protection Agency over the rule. Lawmakers also "passed a bill to exempt the state from submitting a plan to meet the proposed air regulations that work against coal," Sadasivam writes. If Kentucky doesn't submit a plan or submits one that isn't acceptable, EPA will just create one for the state. Cheap natural gas is flooding the market, coal is becoming unprofitable in some regions and coal companies are leaving Central Appalachia for the West, where they can produce at a lower cost. 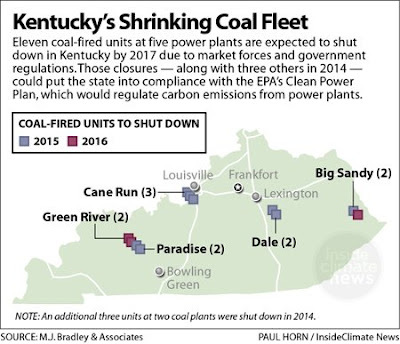 As a result, more than 25 percent of coal-fired plants in Kentucky have already shut down or are expected to shut down in the next two years, Sadasivam writes. "With the announced retirements alone, Kentucky will reach the EPA's goal, energy analysts and state officials believe." Farmers take few precautions in protecting themselves from the sun, says a study by Marshfield Clinic dermatologists published in the Journal of Agromedicine. The study, which consisted of 476 respondents, 194 of them farmers, found that only 23 percent of farmers always or frequently use sunscreen when out in the sun for more than 15 minutes, even though 80 percent of farmers said they knew skin cancer could be deadly and 84 percent said they believe that wearing sunscreen with SPF of 30 or greater reduces the likelihood of skin cancer. Of all respondents, 34 percent of farmers—and 22 percent of non-farmers—said they were referred for additional evaluation due to identification of a concerning lesion at the screening event. Farmers—who averaged 60.4 years of age—said they spend an average of 3.9 hours outside between 10 a.m. to 3 p.m. from May through October, while non-farmers averaged 56.6 years of age and said they spent 2.8 hours per day outside during the same time period, which is considered the most dangerous for contracting skin cancer. Walmart, the nation's largest grocery retailer and a staple in many rural areas, on Friday announced plans to improve animal welfare conditions, Daniel Enoch reports for Agri-Pulse. While dozens of companies have announced similar plans in recent years, Walmart's decision could be game-changer, said Wayne Pacelle, president and CEO of the Humane Society of the United States. Pacelle said in a statement that Walmart's announcement "signals to agribusiness that the era of confining farm animals is ending. Walmart said in a statement that it supports the Five Freedoms of animal welfare—Freedom from Hunger and Thirst; Freedom from Discomfort; Freedom from Pain, Injury or Disease; Freedom to Express Normal Behavior; and Freedom from Fear and Distress. Walmart said it is asking suppliers to: report to authorities and take appropriate disciplinary and corrective action in any cases of animal abuse; adopt and implement the principles of the Five Freedoms in their own operations and industry producer programs and publish a corporate policy on animal welfare; find and implement solutions to address animal welfare concerns; and promote transparency by providing an animal welfare report to Walmart and publicly reporting against their animal welfare policy on an annual basis. The Oklahoma Senate last week passed a bill that would prevent cities and counties from banning fracking and prohibit local bans on wastewater disposal, reports The Associated Press. The bill, which passed by a 33-13 vote, now goes to the desk of Republican Gov. 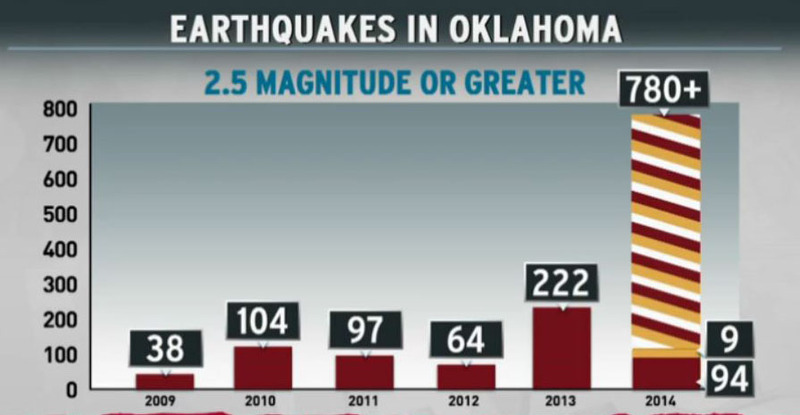 Mary Fallin, who has repeatedly said she believes the surge in the state's earthquakes is not related to oil and gas activity, despite several contradictory studies from scientists. 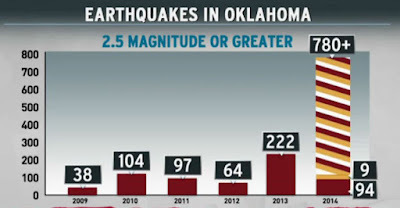 The Oklahoma Geological Survey, the state agency in charge of determining the cause of Oklahoma's rise in earthquakes, released a statement last month that said it was very likely that the majority of recent earthquakes are triggered by the injection of produced water in disposal wells, Mike Soraghan reports for EnergyWire. Former ABC reporter and current University of Southern California professor Judy Muller, who wrote a book about small town newspapers, "Emus Loose in Egnar: Big Stories from Small Towns," was featured on C-SPAN as part of the Book TV college series. Muller discussed her book and her belief that small town newspapers are alive and well and an important commodity for communities. To see the interview, click here.